“For me, chemistry is fun,” says Landry. Learn more about nanoparticles and the role they could play in treating diseases like cancer. A team led by UVM chemistry professor Matt Liptak discovered a new method to create light that may have promising applications including novel kinds of LED bulbs and medical imaging. By day, Bryan Holmes G'07 developed biochemical sensors. By night, he was learning the ways of cider fermentation and creating what came to be known as Citizen Cider. 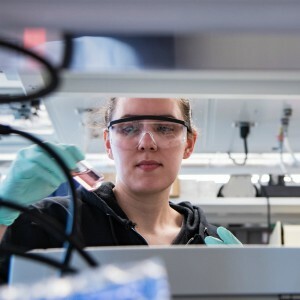 The UVM Chemistry Department provides a rare blend of individual attention and exposure to a myriad of disciplines in both undergraduate and graduate programs. We connect you with faculty who are world-recognized researchers and committed educators, leading to an invigorating fusion of theory and practice. 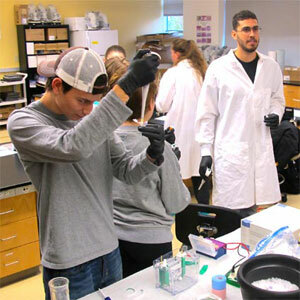 Your educational path at UVM will pave the way to career success and advancement--along the way, you'll be making important contributions not only in the field of chemistry, but in a range of disciplines including biomedical engineering, environmental science, materials science, and energy research. Learn more about Chemistry at UVM. UVM is a respected research university that provides an unusually close-knit experience. Undergraduate chemistry majors work side-by-side with faculty, graduate students, post-docs, and technicians on funded research projects. So, as a UVM chemistry major, you’ll receive research experience before you graduate. Learn about our undergraduate program. 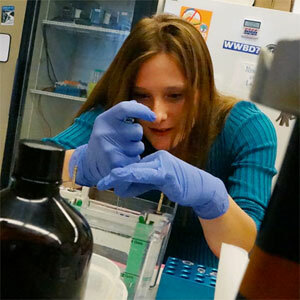 The chemistry department has one of the largest and most active graduate programs at UVM. We maintain small, focused research programs across a spectrum of chemical topics. UVM offers a competitive stipend that is scheduled to increase yearly; students are supported on either research or teaching assistantships. Learn about our graduate experience. UVM researchers are working hard to solve many of today's complex problems in the fields of biochemistry, biomedicine, materials science, geology, and environmental science. You can see what chemistry researchers at UVM are up to by visiting their individual faculty pages. Learn about chemistry research.